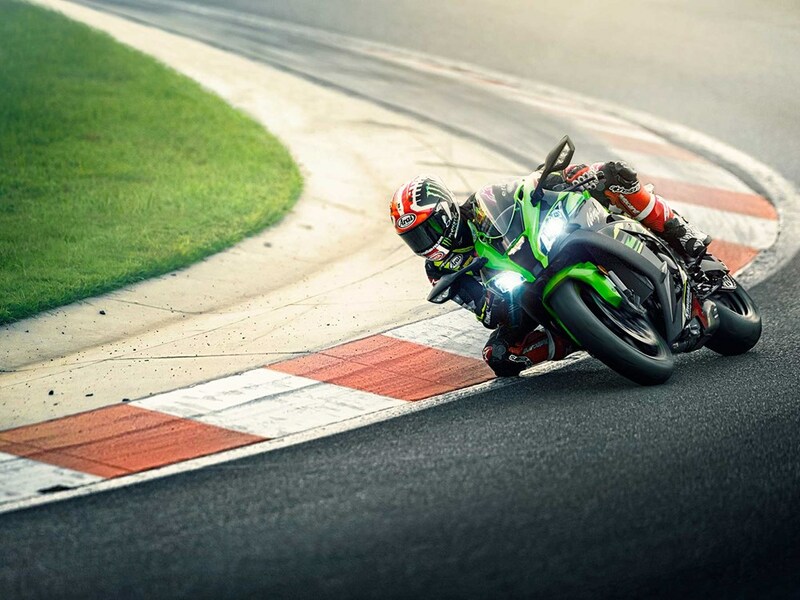 Kawasaki has just announced an updated Ninja ZX-10R for 2019 at Autopolis in Japan. All three models will feature a refreshed cylinder head designed to allow the 500-bike homologation special RR model to deliver more power via more revs. 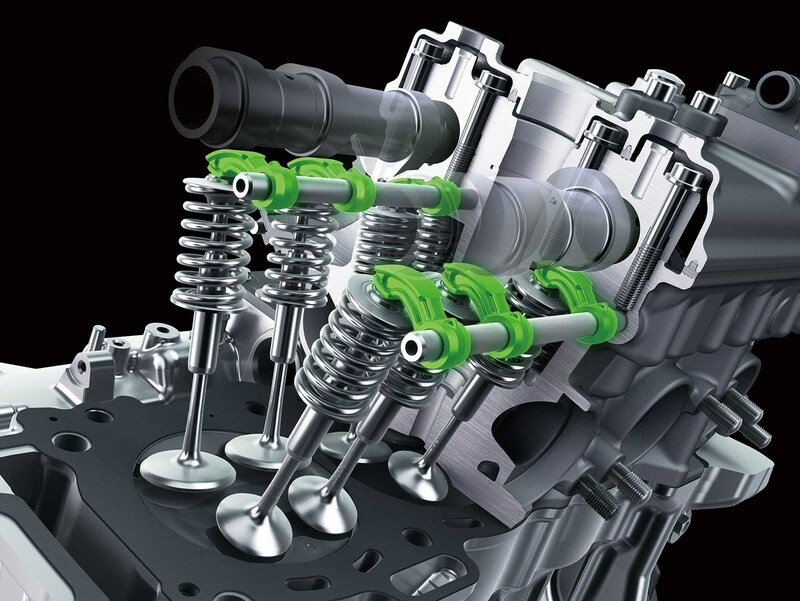 The change involves throwing out the ‘bucket and shim’ style valve-train in favour of a 20% lighter ‘finger follower’ design, which a good number of competing litre-bikes already make good use of. What’s more, the £21,199 500-bike homologation special ‘RR’ gets Pankl titanium rods which shaves 400g off the reciprocating mass inside the cases. That helps it make 600 extra revs, meaning the redline is now at 14,800 RPM, and raises peak power to 201.2 HP. Lovely stuff indeed. But, don’t expect all this to make the ‘ten any better on the road. These updates really only have one purpose, and that’s to continue Team Green’s dominance in World Superbike before new rev-capping rules come in next season. Despite only the RR getting the trick engine internals, all three models now have a KQS bi-directional quickshifter as standard (previously only the RR and SE did) and we can report that all three will also have ‘Performance’ variants. There isn’t much else to write home about though as the rest of the bike remains largely unchanged. It will still have that 1980s Casio-esque LCD dashboard and nothing in the way of design or chassis updates either. The stocker and SE do make 3 BHP more though – meaning they both now make 200.2 BHP (the RR makes one more at 201.2 BHP) – and see just a £500 increase over 2018’s prices. 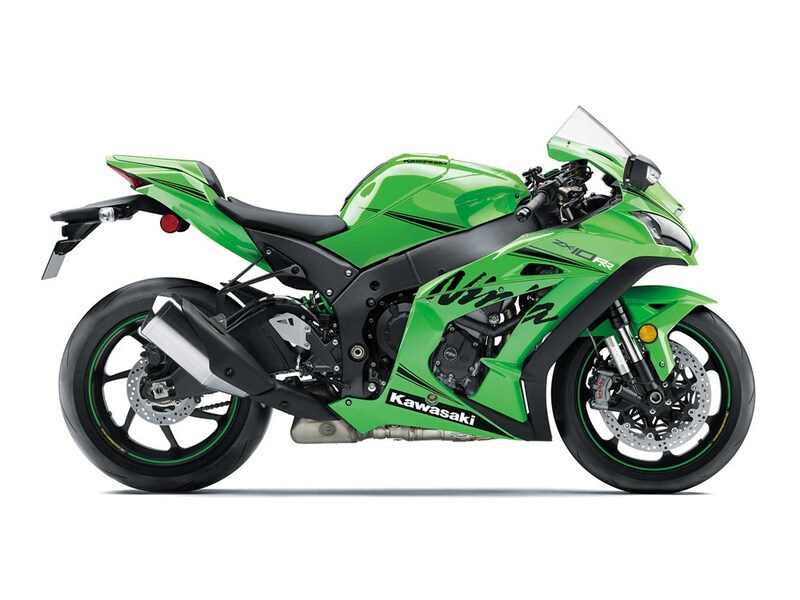 ZX-10R SE: Advanced KECS electronic suspension, forged Marchesini wheels, high-durability paint. Metallic Carbon Grey, Neutron Silver, Lime Green colour schemes. £19,449. ZX-10RR: Limited to 500 bikes. Single seat, titanium rods, 201.2BHP and 14,800 RPM, forged Marchesini wheels, track-tuned suspension. Lime Green only. £21,199.